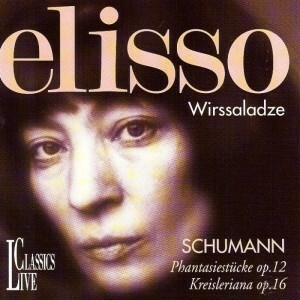 As a pianist trained by top professors of the Moscow Conservatory, Eliso Virsaladze emerged with a rock-solid technique and an emphasis on tonal values. 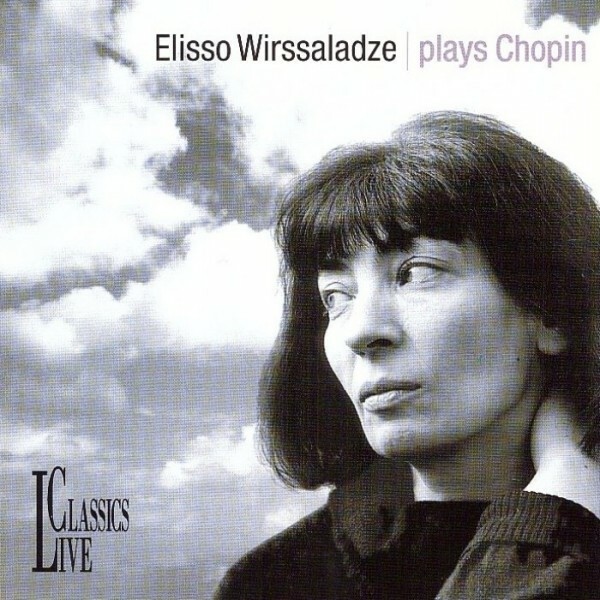 Her playing is flowing, unforced, full of subtle dynamics and colors – all of which serve her well in this Chopin potpourri… Excellent recorded sound backs up her cause. 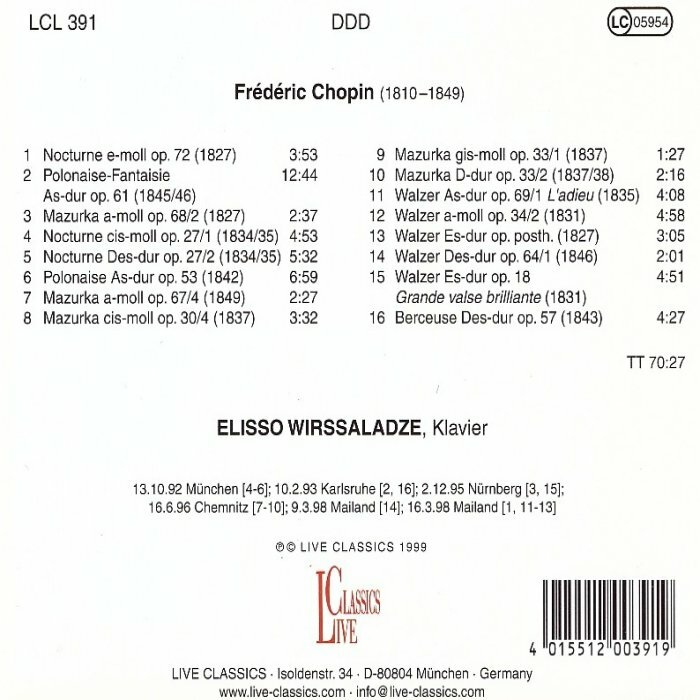 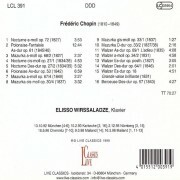 This will have to be one of the finest Chopin discs of 1999. 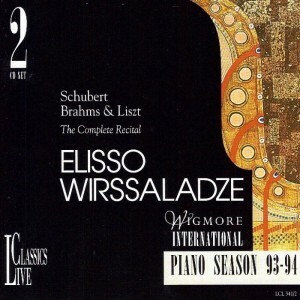 Listeners who’ve followed Live Classic’ ongoing series devoted to this free-spirited, individual pianist will certainly want to check out this release.